The promoter of a failed Bahamas music festival, who is awaiting sentencing on fraud charges from that event, now faces more than a decade in prison after pleading guilty on Thursday to a separate set of fraud charges. 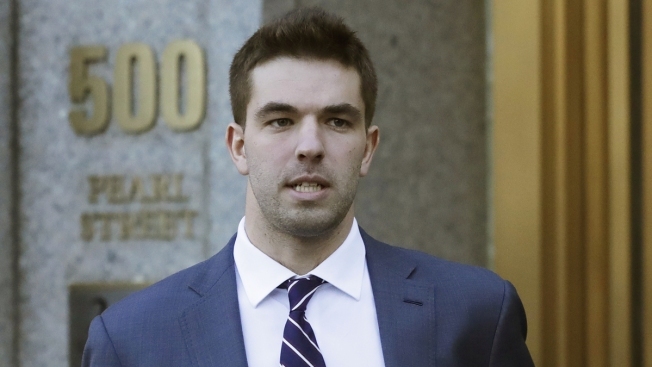 Billy McFarland was arrested on those new charges in June, while sentencing was still pending in the original case. He pleaded guilty Thursday to one count of bank fraud, one count of wire fraud and one count of making false statements. McFarland already pleaded guilty to wire fraud charges in March. The plea pertained to the bungled spring 2017 Fyre Festival on the Bahamian island of Exuma that cost over 80 investors a total of $26 million. In laying the new charges, prosecutors said more than 30 victims had been bilked of more than $150,000. McFarland and his workers allegedly sold non-existent tickets to the 2018 Met Gala, Burning Man 2018, Coachella 2018, the 2018 Grammy Awards, Super Bowl LII and a Cleveland Cavaliers game that would include a team dinner with Lebron James. In addition to pleading guilty to wire fraud for that ticket scheme, McFarland acknowledged bank fraud by giving a forged check in the name of one of his employees to his driver. He also admitted to lying to federal agents about having permission to write that check. While he faces a theoretical maximum of 115 years' imprisonment on all the charges from the two separate pleas, his deal on the new charges indicates that sentencing guidelines call for a total of 11 to 14 years in jail.